The August 30, 2018 Chemistry Colloquium was presented by Dr. Phillip Dawson from the Scripps Research Institute in La Jolla, CA – his first time in the state of Alabama. 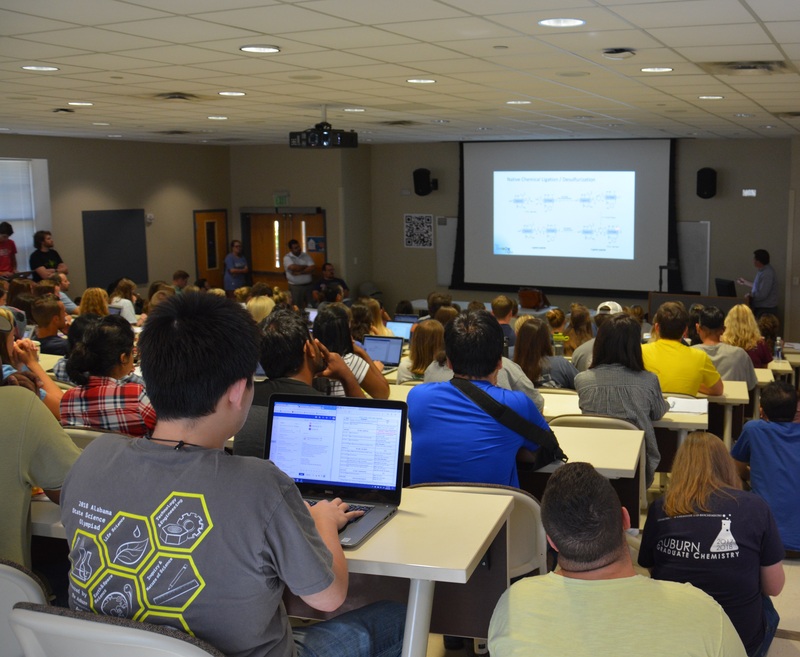 Dawson, who has given more than 100 invited lectures at universities, spoke on, Exploiting Organic ‘Name Reactions’ for Chemoselective Protein Engineering, with standing room only at the College of Sciences and Mathematics at Auburn University. In addition to serving as Dean of Graduate and Postgraduate Studies at Scripps, Dr. Dawson is also the President of the American Peptide Society. Students listening to Dr. Philip Dawson from the Scripps Research Institute.